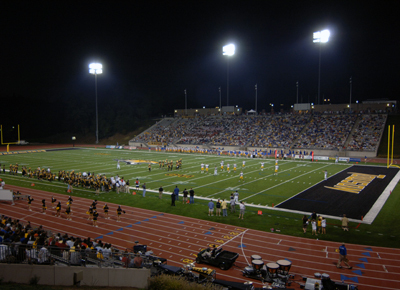 Completed in September, 2002, the project to expand and renovate Minnegan Stadium enabled it to serve as a sports and academic complex for Towson University. As a result of the entrance of the University into the Patriot League, stadium seating was increased from 4,500 to 11,000 and specific enhancements made. The grass field was replaced with artificial turf; the existing track given a new synthetic coating and the lighting modernized and moved away from fan sight lines. Existing press facilities were demolished and replaced; a multi-purpose suite incorporated into the stadium; concession operations were increased to 36 point-of-sale locations; rest room facilities were increased and the stadium brought into compliance with the Americans with Disabilities Act. The field house now encompasses two visitors' locker rooms and locker rooms for game officials. New locker room facilities were incorporated for the football, field hockey, men's and women's lacrosse teams and training facilities and equipment rooms now have direct access to the field. Space designed for classrooms and a learning center for athletes also was made a part of the stadium facility. 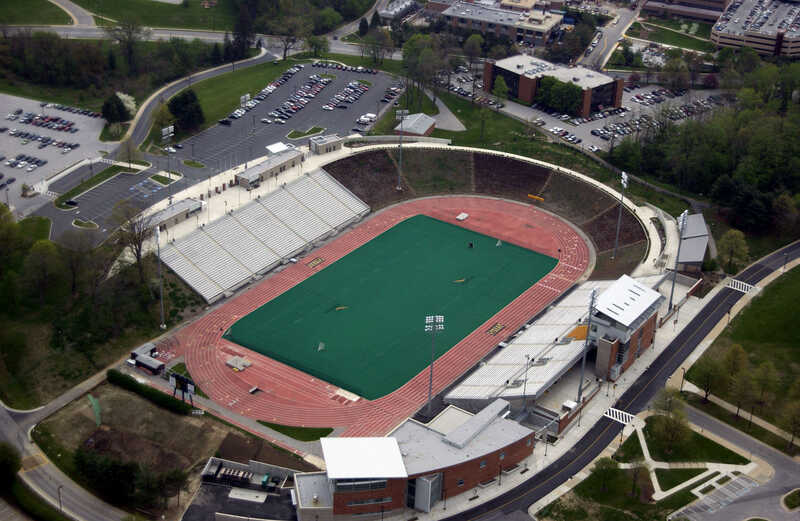 The improvements to this facility not only enhance the accommodations for Towson University's teams and sports fans but also provide the area with a regional sports complex that can be utilized by the surrounding community. Phase II of the construction, which included building the North Side seating, restrooms, concession stands, ticket areas, a promenade to connect the north and south sides of the stadium and work on the associated utilities and infrastructure was completed in 2001. Phase III, which involved demolition of the original stadium and replacing it with new seating, restrooms and concession stands, began in Summer, 2001 and was completed in 2002. 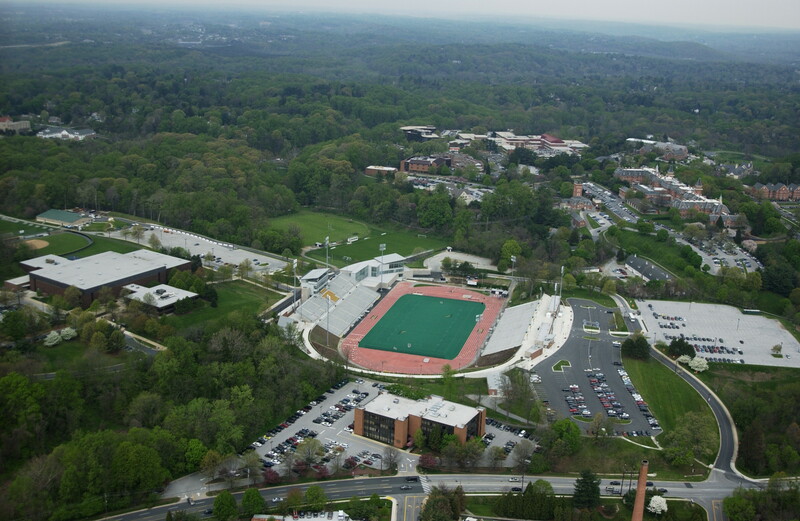 The newly enhanced stadium complex has become an integral part of campus life for Towson University and the surrounding neighborhoods.